The city of Paris was recently on high flood alert after a deluge of rain. 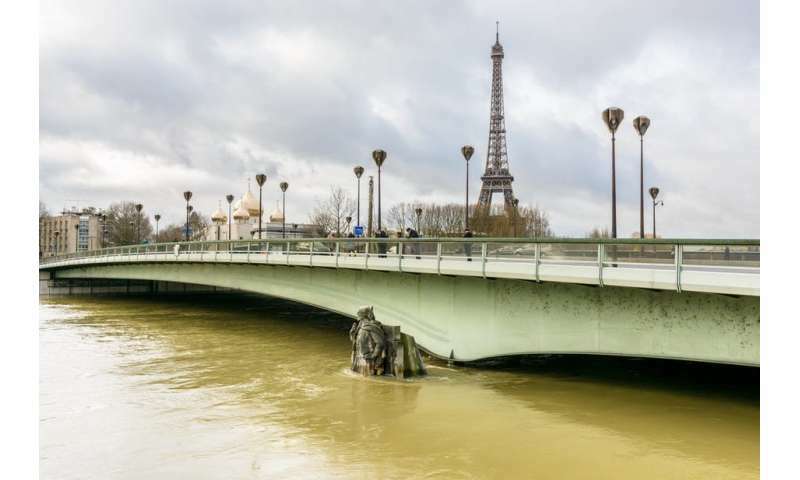 Parisians looked on with increasing concern as the River Seine continued to rise, the water levels creeping up the legs of the Zouave statue on the Pont d'Alma bridge in central Paris, which has served as an unofficial flood gauge since the devastating 1910 floods in the city. Thankfully, the immediate threat to Paris appears to be receding, although many other towns along the Seine are experiencing widespread flooding. This year's particularly severe flooding on the Seine demonstrates how complex the relationship between rainfall and flooding is. It also harks back to a critical development in the history of flood hydrology and the water cycle: because it was the Seine's rise and fall, in response to heavy rain, that inspired one of the great breakthroughs in hydrology. In the late 17th century, a French scholar called Pierre Perrault estimated the flow of water in a tributary of the River Seine and compared it to rainfall across the river's catchment area. In doing so, he demonstrated for the first time that rainfall was all you needed to account for the flow of water in large rivers. His revolutionary work "De l'origine des fontaines" was published in 1674. Although no specific accounts exist, it is not hard to imagine Perrault taking inspiration from the spectacle of the Seine in Paris rising up the piers of its bridges in response to rainfall, as we've witnessed lately. This link between rainfall and river flow in Paris was confirmed in 1686 by the French physicist Edme Mariotte, who quantitatively measured the velocity in the Seine near the Pont Royal by observing the passage of boats and debris on the current. It is difficult to overstate how revolutionary the ideas of Perrault and Mariotte were. When Perrault published his book, the ancient Greek theory of the four essential elements (earth, air, fire and water) still dominated. This stated that everything was composed of a mix of these elements, with the relative proportions included in an object imbuing it with its specific characteristics. 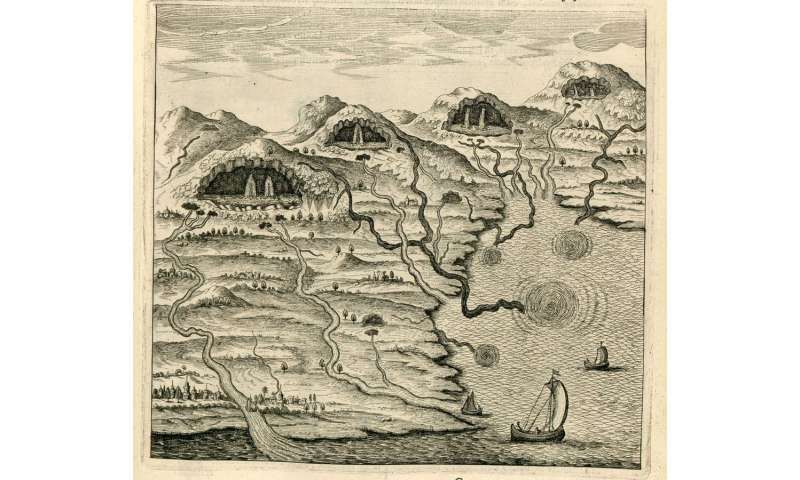 The accepted theory of river flow, meanwhile, was that sea water entered underground caverns, where it evaporated with the heat of the earth and fed springs, feeding into rivers once again. Rainfall was seen as insufficient to provide the water needed to drive the flow of great rivers. Floods were seen as something unpredictable like earthquakes or volcanic eruptions, out of human control and not connected to processes within river catchments. Indeed, it has been argued there were no further substantial advances in quantitative hydrology in the century after Perrault and Mariotte. As well as discovering the link between rainfall and flooding, Perrault also introduced the idea of infiltration (precipitation soaking into the soil), baseflow (infiltration driven groundwater flow which maintains the river flow in the absence of rainfall), temporary storage of flood water on floodplains, bank storage, and laid the foundations for what would subsequently be formulated as the hydrological cycle. Because we now accept the link between rainfall and river flow as a matter of course, the link to flooding can appear deceptively simple. But the current flood event on the Seine illustrates how record rainfall doesn't necessarily lead to record flooding. This winter has seen double the normal rainfall for January, and the combined December and January rainfall has set a 50-year record. When rainfall occurs over a prolonged period of time it saturates the land and causes future rainfall to transfer much more quickly into the river network. River catchments can be thought of as having a sort of "memory", in which the effects of preceding events subtly change how the river system will respond to future ones. And so in the case of flooding, the sequencing and magnitude of rainfall events is often more important than absolute volumes. It would appear that although this winter has been very wet, and has reportedly made the water levels in the Seine rise very quickly following storms, there has not yet been a late winter rain storm of sufficient size to cause large flooding in Paris. The current concern would be a repeat of the pattern from the record 1910 floods in Paris. 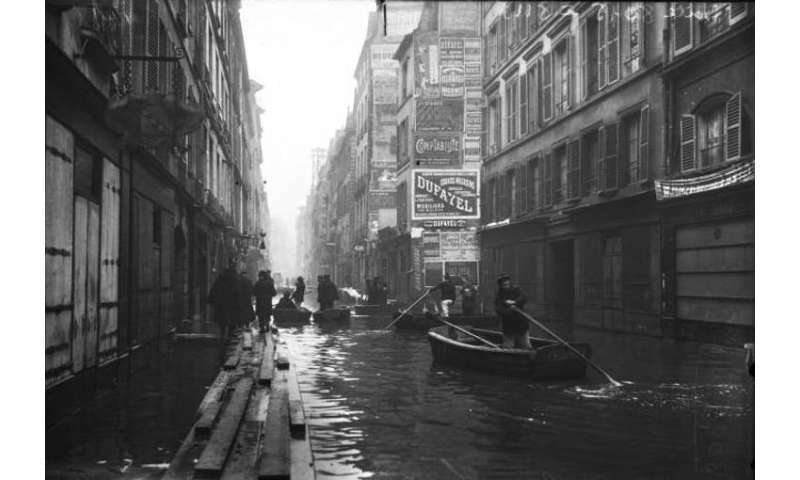 In early 1910, the catchment of the River Seine was already saturated following heavy rainfall the preceding December. The River Seine had risen following this rainfall before dropping again, leading people to believe the threat of flooding was over. But in January there followed a large, prolonged rainfall event in the waterlogged upper catchment; this water quickly transferred into the river system and led to widespread flooding in Paris. It was not the magnitude of the rainfall event that led to this record flooding in Paris, rather it was the sequencing and timing of the rainfall within the context of a wet winter. With the immediate flood risk receding this year, there remains a danger that heavy rainfall in the next few weeks could lead to a rapid response and rise in river levels in the Seine, both in Paris and elsewhere. And so having spent the last few weeks nervously watching the Seine, the people of Paris will now be casting their eyes to the sky and hoping for a relatively dry February.